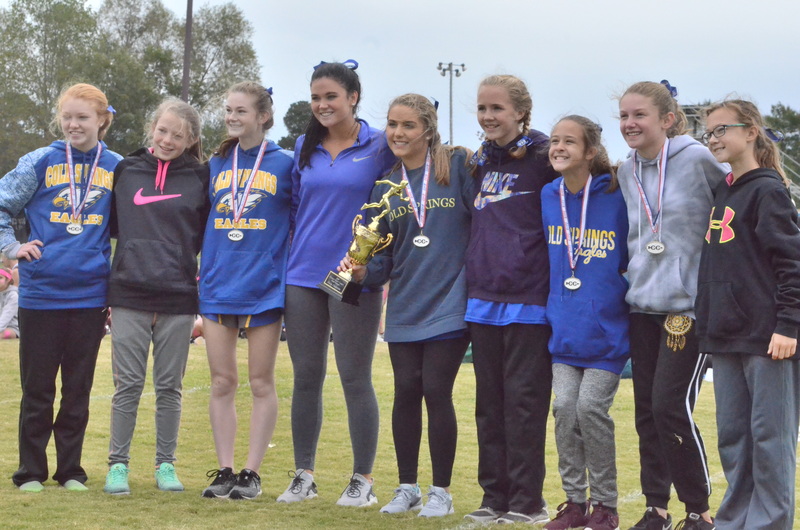 BREMEN – The hosting Cold Springs Eagles and Lady Eagles swept the Cullman County Cross Country Championship on Thursday. The Eagles won with a time of 1:28:25.85 and just 19 points and the Lady Eagles took first with 26 points and a time of 1:50:00.78. Individually, Holly Pond’s Camilla Chambers smoked the rest of the girls’ field by more than a minute with a time of 19:41.93 to take first place, while on the boys’ side, Hanceville’s Aaron Brown claimed the top spot at 17:13.19. In the junior varsity division, West Point’s girls ran away with first place after posting a time of 1:14:36.86 and just 18 points while the Good Hope Raiders JV boys earned gold with 24 points and a time of 1:03:32.38.